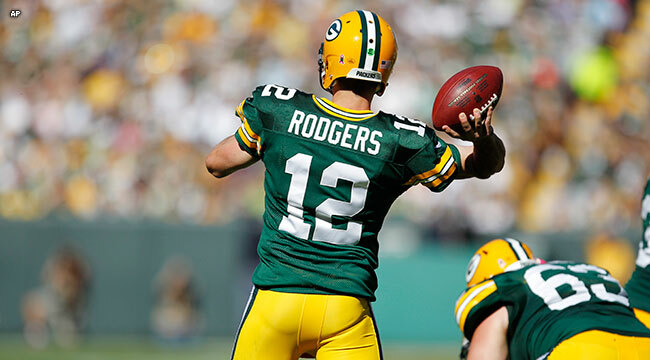 GREEN BAY — Packers QB Aaron Rodgers ranks fourth in the NFL on the latest Top 50 list in merchandise sales as compiled by the NFL Players’ Association. The list is based on total sales of all officially licensed merchandise for the 12-month period ending Feb. 29, 2016. Patriots QB Tom Brady is atop the list, followed by recently retired QB Peyton Manning, Seahawks QB Russell Wilson, Rodgers and Cowboys WR Dez Bryant. Three other Packers ranked in the top 50, with LB Clay Matthews at 18th, WR Jordy Nelson at 27th and RB Eddie Lacy at 39th.